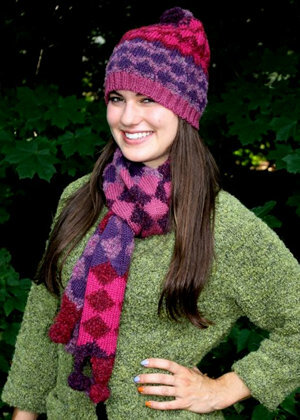 Enjoy warmth and design with this Diamond Stripe Alpaca Hat that has three pom poms on the top. 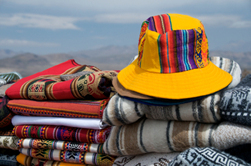 The Alpaca Hat is a fair trade compliant item made in Peru. 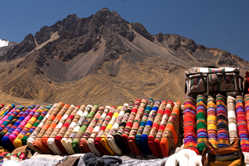 The colors available for the Diamond Stripe Alpaca Hat include: Earth and Jewel. Made from 35% Alpaca, 50% Acrylic, 15% Wool.